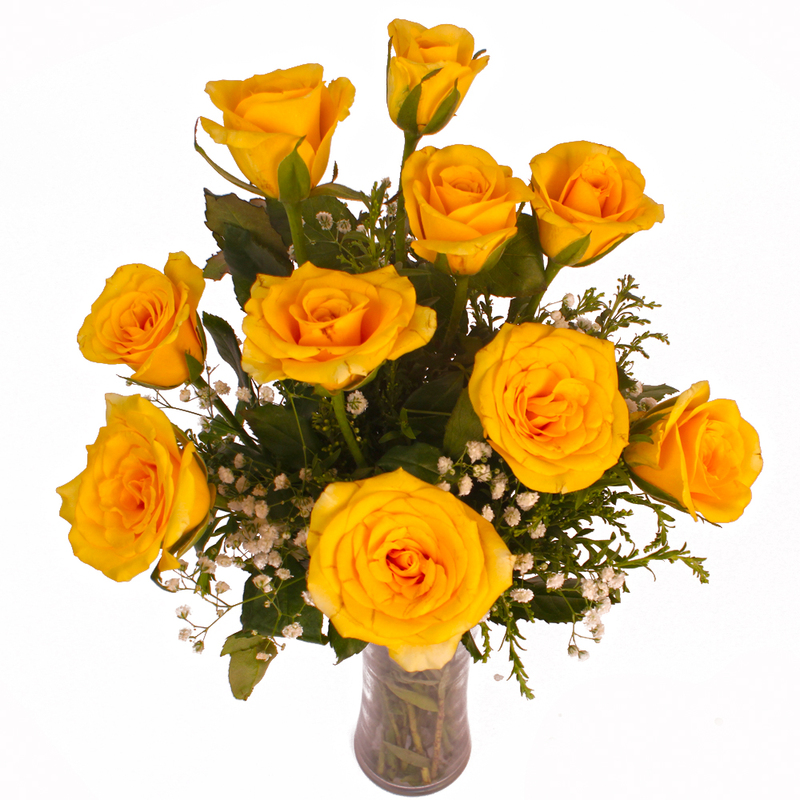 Product Consist : 10 Yellow Roses with green fillers in Vase. 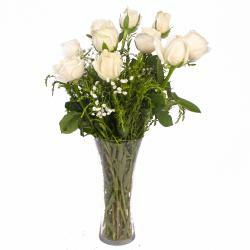 The arranged presented to you by Giftacrossindia.com comprises of glass vase of yellow roses. 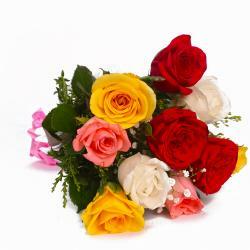 No one can really dispute the appeal of this roses. 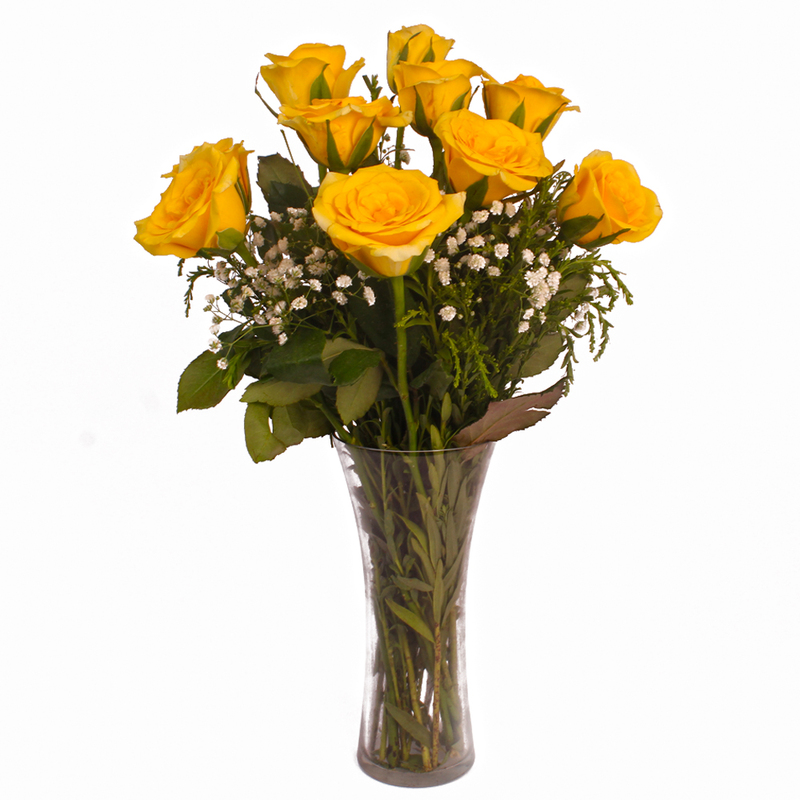 This gift pack contains ten stem of these ravishing yellow roses in a glass vase for company. 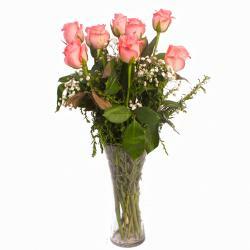 The sheer elegance of this gift makes it trand setter for occasions like Birthday, Anniversary, Just Because, Navratri, Children Day, Valentines Day among others. 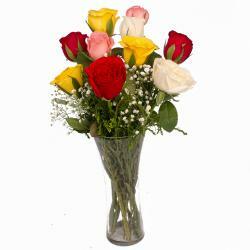 Product contains : 10 Yellow Roses with green fillers in Vase.